August 1977 was a warm, beautiful sunny month filled with news. While the world mourned Elvis Presley’s death at age 42, my career was beginning. 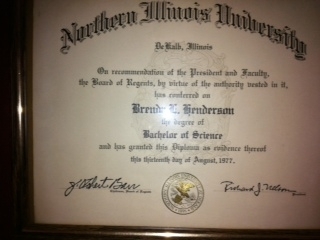 The first in my immediate family to earn a college degree and merely 20 years old; the job possibilities seemed limitless. I was idealistic, excited and enthusiastic about the future. Often in August, it is an opportunity for a reflective career evaluation. Since 1977 I’ve met so many great people living in California, Arizona and Indiana on corporate transfers and traveling the world for work--- these three consistent traits are shared by people I've met along the journey who enjoy resilient careers throughout their lives. #1---Adjusting their Expectations: I’m not saying that as you get older your career has to be a downward spiral. I can tell you, that if you want to be a manager, Director, Vice-President or CEO and it continues to allude you where you are---resilient people have the confidence to look outside their current company. Some have found they won’t get to the next level anywhere and that’s a tough adjustment—others move on to achieve the dream somewhere else. While others find they have “maxed out” and as long as they work for someone else they will always be a level below what they think they deserve. “Brenda Tip” if you haven’t made it to that next level by age 42—the odds are against you. Sometimes, people adjust their work/job/career expectations because they learn to separate who they are from what they do. Getting older does NOT mean we lose the “fire” or competitiveness or passion for work---our experience just provides a new lens, a different perspective and a different way to view what happens in an organization. #2---Adjusting their Skills: While the July unemployment rate hovered at 9.1% there is a hiring boom in the tech sector. CDNet reported the July 2011 unemployment rate for tech professionals is 3.3%. Cloud computing, social media and data security continues to drive the market for software engineers, tech sales people and others with tech backgrounds. We’re not all cut out be a tech guru. That’s certainly not my calling, but I have strengthened my skills tool-box this year in the technology area (at my own expense) by attending local workshops and webinars. Even if it is not tech, we have to continually update our skills to stay relevant if you want to stay in the job market. If your field has a certification—earn it. That designation could be the keyword in an applicant tracking system that brings your resume to the recruiter's attention. Make it a point to learn something new every three months. #3---Adjusting their Attitudes: Every career has trade-offs. You didn’t take the expat assignment in Asia and it may cost you an opportunity. You decide not to the transfer to Kansas City for a promotion so your kids can finish school in Dallas. Sometimes as we get older, we think about what could have been and “what if” scenarios. There are no guarantees and we can only live with the decisions we make based on the information we have at the time. So it is better not to look at what you missed and focus on what you experienced, who you met and what you learned. One of my favorite quotes about endings comes from Dr. Seuss. “Don’t cry because it’s over. Smile because it happened.” The resilient people, the ones who are enjoying jobs in their 70s, having fun in their 80s and performing volunteer work in their 90s---they smile through it. It is a warm, beautiful, sunny August day in Indianapolis, thirty-four years after graduation. I remain idealistic, excited and enthusiastic about the future and I hope you will too. I think that's the whole point. While you are out job-hunting and out interviewing you can't let the worry and fear show. You have to remain up even when you feel down. Great advice & may I add that keeping yourself open to opportunities. Many older people get scared or scarred after a few rejections & feel threatened by competition by younger workers. If you want to win, older workers have to stay in the fight.